Some jellyfish have ocelli: light-sensitive organs. 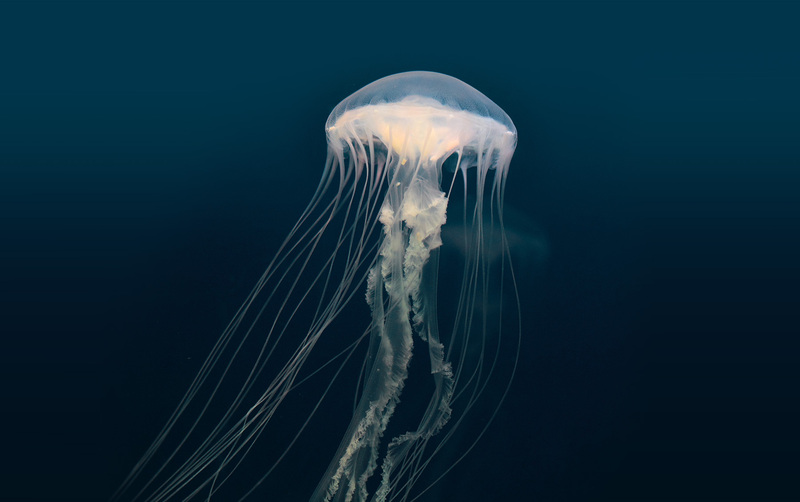 The box jellyfish has 24 eyes, two of which are capable of seeing color and four parallel information processing areas, supposedly making it one of the few creatures to have a 360-degree view of its environment. These abilities are very much linked to the unique characteristics of many of our sensors, be it the Triaxis 3D magnetic sensors or the SensorEyeC Light sensors. Being conscious of their surroundings is a core capacity of our products. We infuse them with the ability to sense any analog signal and use it in the digital world. We power the interaction between systems. Our highly integrated products make you drive smarter. We build bridges between components. We provide pathways between them, allowing them to communicate in a clear and fast way, whether wired or wireless.